Summer Roadsides are full of wildflowers from daisies and Queen Anne’s Lace to many varieties of clover. The large ‘red’ clover on the Delmarva Peninsula are not native wildflowers. 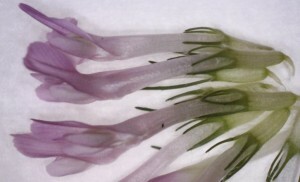 They were grown on farms in the 1800s as a cover crop to feed cows and enrich the soil. (clover are plants that can add nitrogen to poor soils). While it isn’t grown as a crop anymore, there are often large patches of the pretty flowers along farm edges. 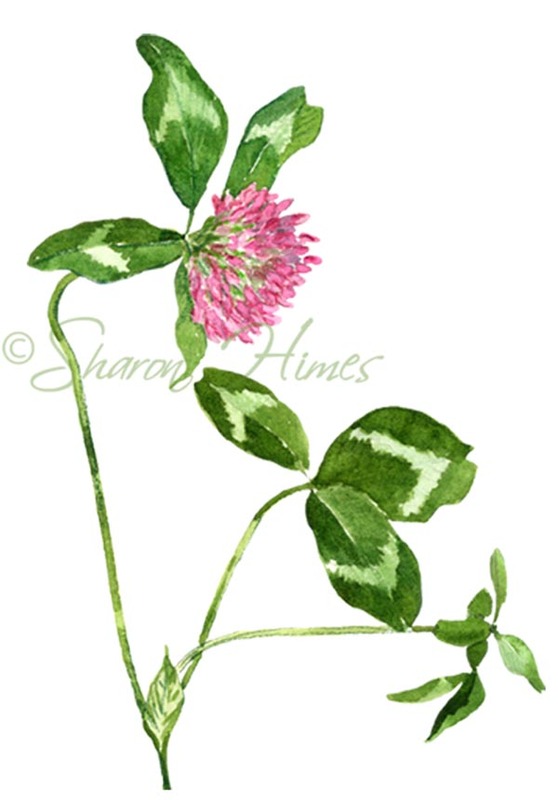 I love to explore the roadsides and collect flowers to paint, especially the red clover. I greatly admire botanical artists but I don’t consider myself one. I don’t have the patience to spend hours on tiny details or spend weeks on a single drawing. Those that are true botanical artists are meticulous and their work is perfect. Mine is anything but! I like to sketch the flowers from life when they are on my drawing table and I work fast enough so that I can get the plant done before it wilts or loses it’s color. After working in a hard (light) pencil, I begin painting in watercolors, laying in one color and dripping in another to suggest detail and texture. 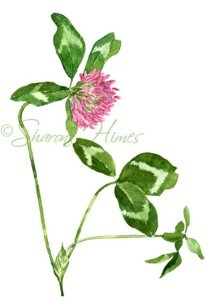 Anyone who knows the clover will recognize it even if I don’t include the stem hairs or individual flowers on the head. I’m more concerned with the ‘attitude’ of the plant and I want to be true to the spirit of the flower and not worry so much about the fine detail. My little digital microscope is great for seeing the tiny individual flowers on the clover head even if I don’t paint them so detailed. Strong magnified light fades out the colors I see normally but it is fun to see how the plant is put together and marvel over the perfection. .